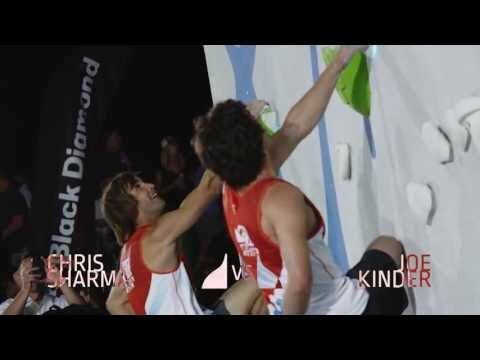 Sender One Climbing opened in Santa Ana, California June 15, 2013 with a Grand Opening celebration and Pro-Team Invitational competition featuring Chris Sharma, Tommy Caldwell, Ashima Shiraishi, Joe Kinder, Angie Payne, Carlo Traversi and others. That is a pretty awesome format, I like the idea of mixing up the talent to make the results unpredictably fun. I will say tho, Sharma may have under-performed with his 9 points. Oh, and the problems looked really fun to climb and watch; a lot of pressure taken off of the course setters for setting perfect difficulty problems and instead letting them focus on quality. Kinda hope this kinda comp or some variety of team-comps takes off. Guess who will come last in both the male and female categories? Oh right, you did…. Seriously, will those two please just stop embarrassing themselves?